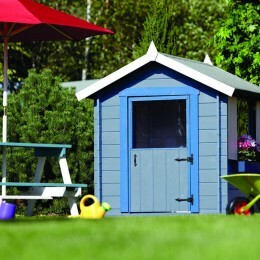 A beautiful lush green lawn has long been the hallmark of a keen gardener and the envy of all the neighbours. 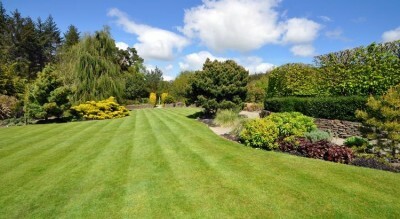 In fact, a good lawn can make even the unruliest of beds and borders look presentable! 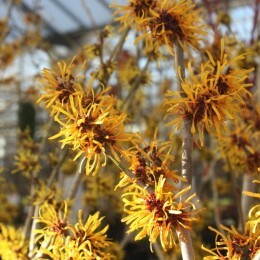 Now it is in the growing season, your grass will need cutting regularly – weekly as the weather warms up through Spring. For lawns which take a lot of wear and tear (from children and animals) mow to around 5cm to avoid weakening the grass which can allow weeds and moss to become established – you don’t want this! 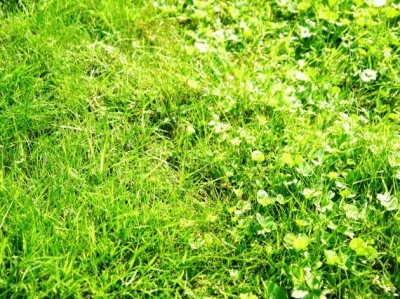 A good lawn feed will make your grass greener and grow thicker. 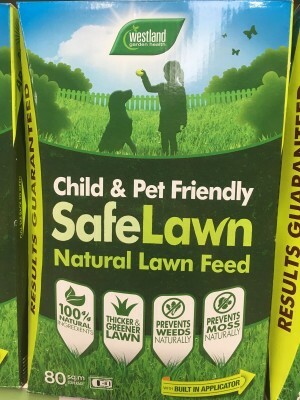 We recommend Westland SafeLawn Natural Lawn Feed, made with 100% natural ingredients and completely safe for children and pets. 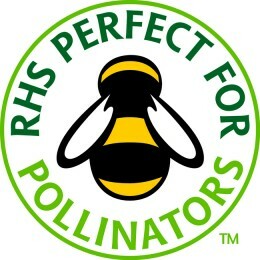 This is a granular feed that can be applied evenly over the whole lawn – available in-store. Watch the new Westland SafeLawn TV advert for more information. For larger lawns it is worth investing in a wheeled spreader. 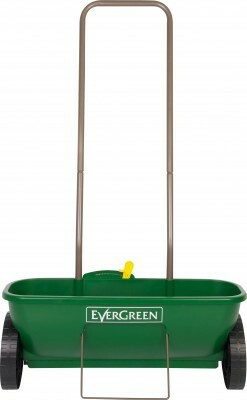 We sell the Evergreen Easy Spreader (below) for just £21.99. 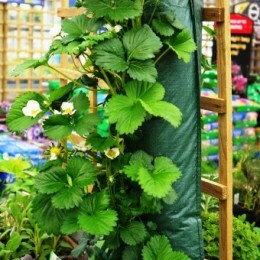 As the ground starts to dry out through spring, weeds and moss start to spread which can be a major headache. If you have weeds but no moss then you can treat them quickly with a liquid lawn weedkiller at the same time as you are feeding. 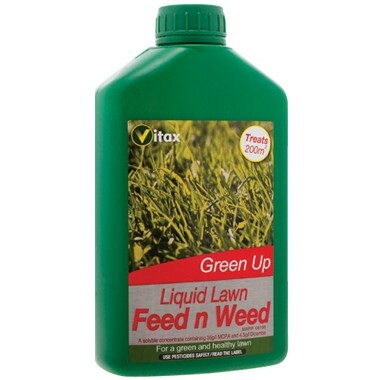 Our online shop stocks Vitax Green Up Liquid Lawn Feed and Weed 1 litre which treats up to 200 square metres for only £9.99. 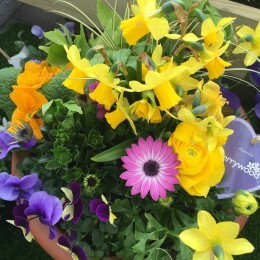 If you have a dog, it is more than likely that you have bare patches which are a perfect environment for those nasty weeds and moss to take hold. 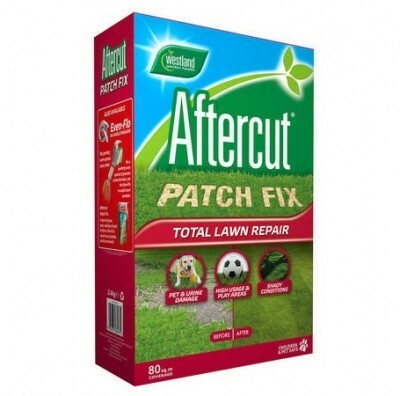 You will need to repair the damage with a pet urine resistant grass seed and a pet urine neutraliser like Westland Aftercut Patch Fix which comes in several sizes. 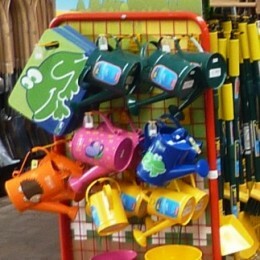 During the winter months a quarter of your grass can die. 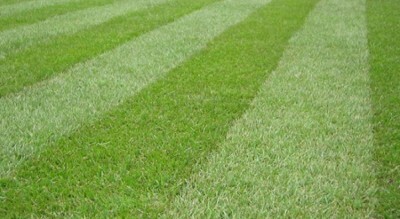 Sowing new grass into the existing lawn can bring your lawn back to life by improving the density of the grass. 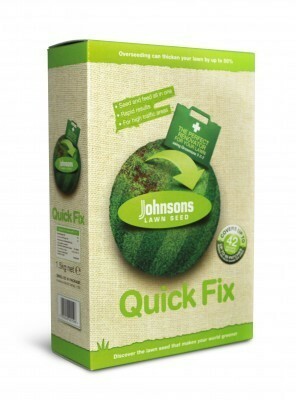 We would recommend Johnsons Lawn Seed, and if you want fast results try their Quick Fix which will generate results within 4-7 days under ideal conditions. A perfect thick green lawn for you and your family to enjoy all summer long!